About the Art: Rembrandt van Rijn (1606 – 1669), Simeon’s Song of Praise, 1669, oil on canvas, 99 × 80 cm, National Museum, Stockholm. 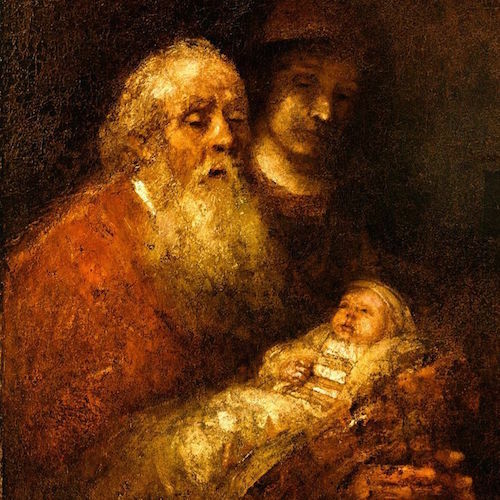 Rembrandt painted Simeon blessing Jesus in the temple twice and the two are very different from one another. The first, painted when he was 25 years old, is a crisp, ornate scene with the temple itself presented as a character in the story (see below). 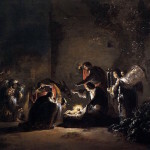 Rembrandt’s characteristic illumination shines like a spotlight coming down from heaven, making Jesus the brightest figure in the scene. Simeon holds the child as he gazes up to heaven as another attendant in the temple looks on, hands raised in praise. Perhaps two-dozen figures line the background, looking on. The work is impressive for such a young man. Your eye could spend an hour touring the canvas, and you still wouldn’t see all that’s there. The other, painted thirty-eight years later in 1669, the year of Rembrandt’s death, couldn’t be more different. Gone are the crowds and the architecture. Gone is the brilliant beam of light. All he gives is a picture of an old man at the end of his days seeing the Christ before his Maker calls him home. The old cleric smiles down on the child who looks back up at him. Simeon’s hands are pressed together in prayer. 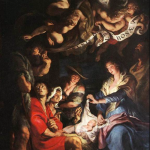 The third (and only other) figure in the painting is draped in shadow as a way of highlighting just how intimate this moment is between Simeon and the Messiah he’s holding. The contrast of these two paintings is most certainly a commentary on Rembrandt’s own life. At 63, he is less concerned with impressing his audience. His humble world has focused in on Christ. The youthful Rembrandt’s Simeon painting, a masterpiece to be sure, puts on full display all the technique and mastery he is capable of. But old Rembrandt is content to deliver warmth over detail, individuals over a crowd, and simplicity over grandeur. 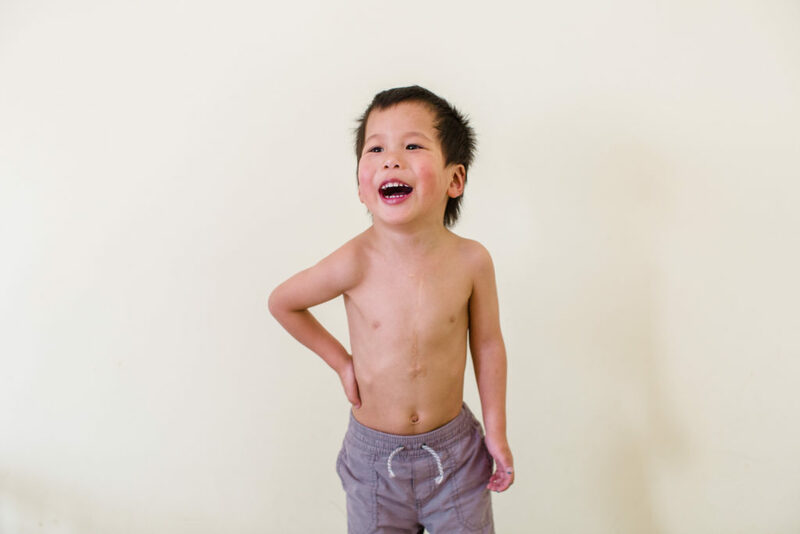 Frederick Buechner, in his novel Godric, wrote, “An old man’s thoughts are long.” Simeon, perhaps, had been a show-off in his youth. We’re not told, though we do know what youth is like. But by the time Mary presents Jesus to him in the temple, he is an old cleric at the end of his run—weary, confident in his God, and alive with hope. Rembrandt gives us a man ready to take his leave, content that his life had led him to this moment he had longed for all those years. “If Mary kept things spoken about Jesus in her heart, this must have been one of them. A sword would pierce her soul. It was the price of being the mother of the Christ. She had to raise this baby, knowing that he belonged to the Maker and had come for the purpose of saving God’s people from their sin. Everything in her culture told her that sin offerings were a bloody business. And thirty-three years later, she would find herself at the foot of the cross on which her son hung. With her own two eyes, she would watch him die, despised and rejected, a man of sorrows acquainted with grief. What are some of the sorrows you have experienced in your life as a result of knowing Jesus? What are some of the unique joys you have experienced as a result of knowing Jesus? 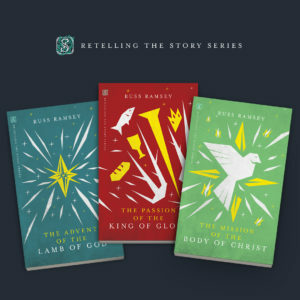 How would you tie together the stories of Easter and Christmas? 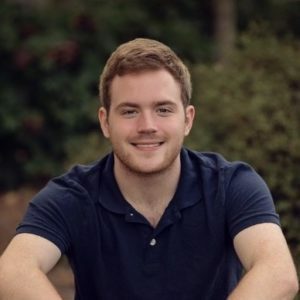 Are there any connections you are making now between the two that are new to you? Ramsey, Russ. Behold the Lamb of God: An Advent Narrative. 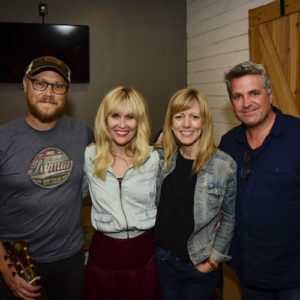 Nashville: Rabbit Room Press, 2011. pgs. 171-172. 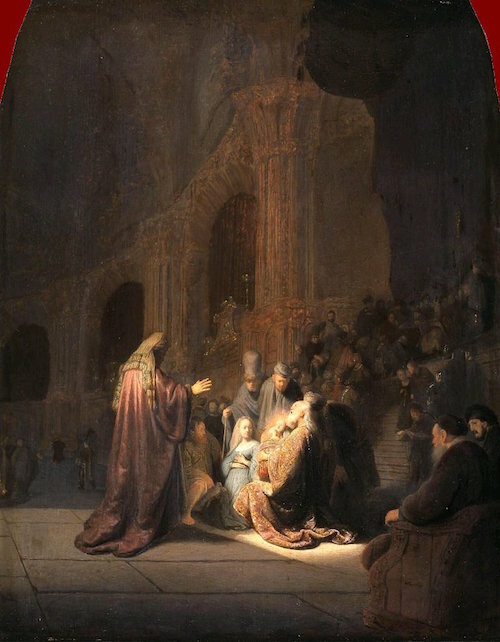 Rembrandt, Simeon’s Song of Praise, 1631. 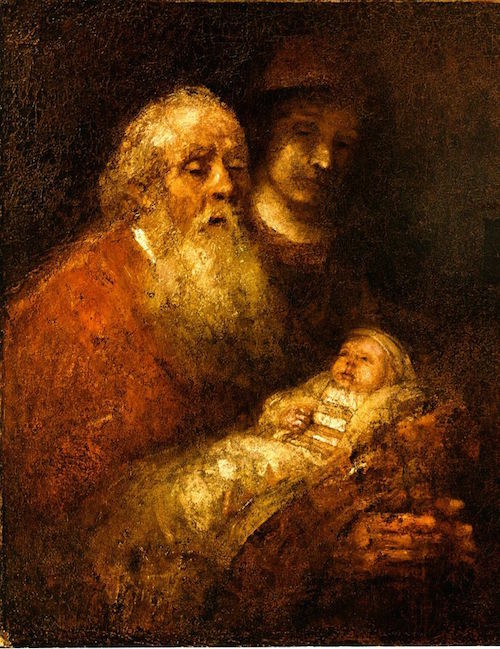 Rembrandt, Simeon with Jesus, 1669.